Bronson Alcott Pinchot (born May 20, 1959) is an American actor. He is best known for playing Balki Bartokomous in the ABC sitcom Perfect Strangers (1986–93). He also performed in films, such as Risky Business (1983), Beverly Hills Cop (1984), True Romance (1993), Beverly Hills Cop III (1994), It's My Party (1996), Courage Under Fire (1996) and The First Wives Club (1996), as well as on television series, such as The Prankster in Lois & Clark: The New Adventures of Superman. 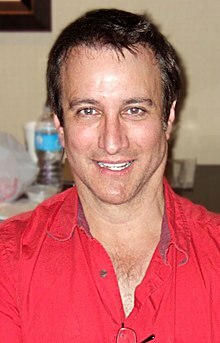 In 2012, he starred in his own reality series, The Bronson Pinchot Project on the DIY Network. 'Beverly Hills Cop' opened up a whole world. I got the television show and movies, and I would go sign autographs for one hour and get paid $25,000.